​In this collection of five short stories, Edward Faine shares snapshots of his protagonist's life as he comes of age in the 1950s. A likable character, Ned faces situations out of his control and often responds in awkward, yet heartwarming ways. ​These tales, written in an inviting, conversational style, offer both an entertaining read and a glimpse into a seemingly simpler time. 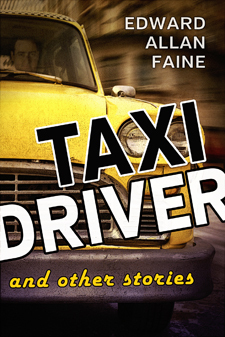 ​​“Ed Faine’s character, Ned, has given us snippets of his life story in this collection of short stories. Ned describes a day or a phase here or there along his life’s path, and we see his character developing. These stories from Ned’s life are very accessible. They are written in a conversational tone as if Ned were sitting around the campfire with us. ​​“No single story tells us enough about Ned, and sometimes his motivations appear questionable, but the more we read, the more we begin to understand. Ned seems to allow life to happen to him. He finds himself in situations not necessarily of his own making and then deals, at times awkwardly, with the consequences. Maybe we all live like that to a large extent, but Ned seems perhaps more than most to have little control over his choices in life.